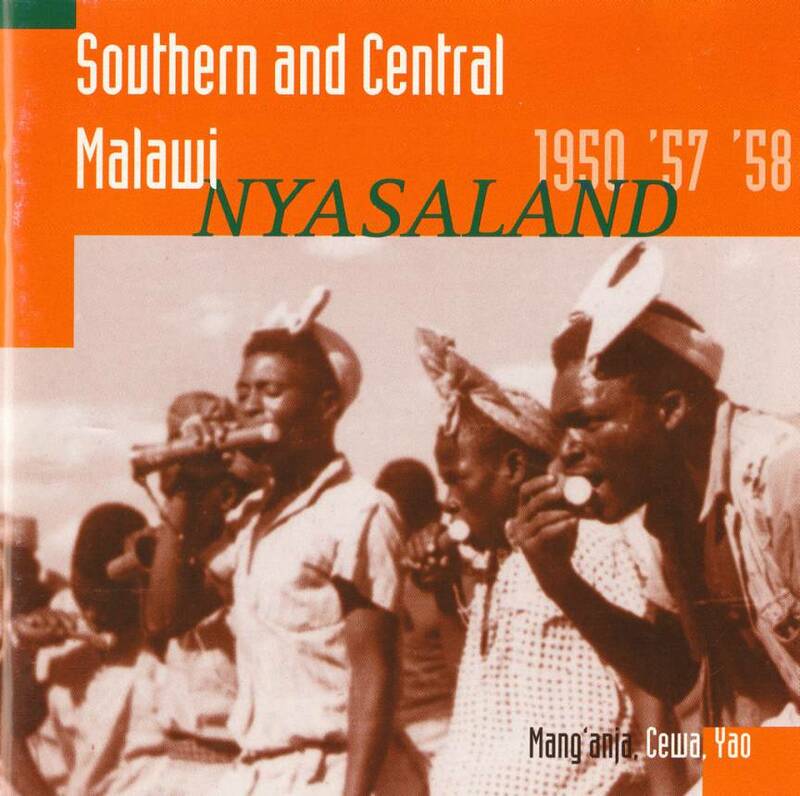 A variety of musics by the Mang'anja, Yao and Cewa peoples, found in the 1950's in the southern half of Malawi – the beautiful bangwe zither, the magnificent tuned drum likhuba ensembles, brilliant xylophone playing, a small big band of malipenga kazoos. Such a richness of good music, creativity and identity – and so well recorded. Historical recordings by Hugh Tracey. Twinned with our other Malawi album SWP 014. Total time: 62" 26". 20 page booklet. Tracklist: 1. Timba, 2. Tabiya, 3. Likhuba Drums I, 4. Likhuba Drums II, 5. Wosakula Sakwatidwa, 6. Nkazi Wa Mulomo, 7. Kulila Kwa Ng'oba, 8. Zonse Na Atengani Afuna Mapass, 9. Senengelado, 10. Amalume, 11. Mangani Mikeka Mudzinka Kwanu, 12. Tisimbi Easauka, 13. Manyanda, 14. Mungabe, 15. Wenda M'manja M'manja, 16. Ndadza Apa Ndiama, 17. Pita Uko, 18. Mtempile, 19. Uyayo Mai Moya, 20. Tangu Kwata M'cembere, 21. Ine Ndidandaula, 22. Acinkanga, 23. Kazela Kambelemba, 24. Che Chipala, 25. Mwana Angu Ngale. Repertoire 2000 (F): "Voici deux CDs consacrés au Malawi, petit pays fort peu présent dans la discographie africaine. Cinq peuples sont à l’honneur, l’un à l’autre, une diversité de styles et une quantité de surprises de qualité." "Here are two cds dedicated to Malawi, a country hardly represented in African discograghy. Five peoples have the honour, one after the other, with a diversity of styles and full of quality surprises."